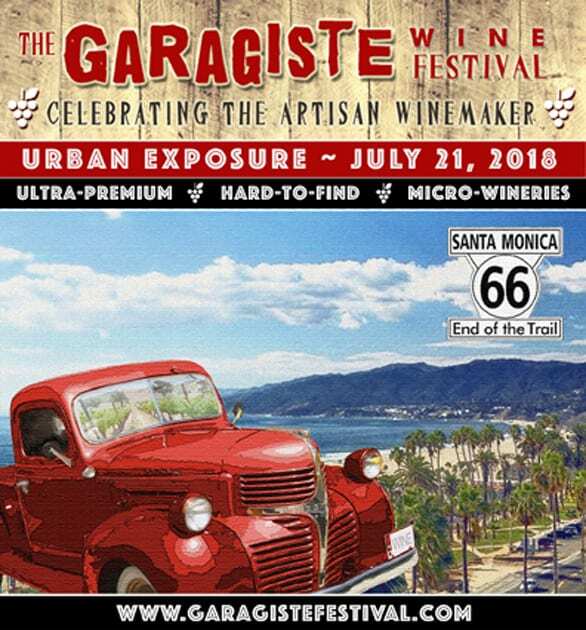 Garagiste goes Urban at the Women’s Club in Santa Monica on July 21, 2018. Los Angeles wine lovers, who enjoy discovering the small often hard to find wineries, consider attending this event. This year find 48 limited production wineries that together create the innovators in winemaking and the future of wine. Each has a relentless passion for their art that permeates throughout the Garagiste Festival hall. 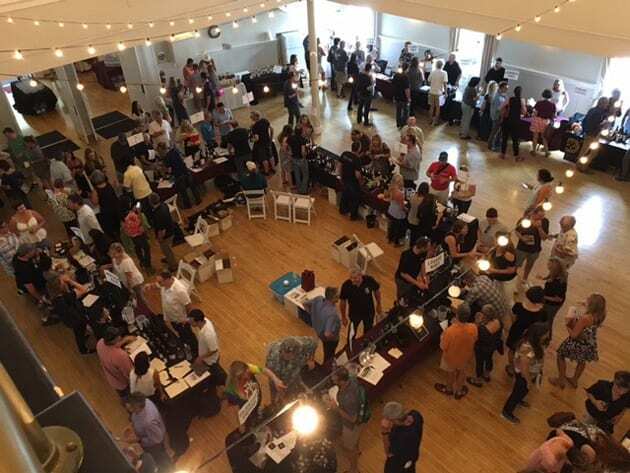 Looking at the list of wineries attending this year and reviewing those wineries whose wines I sampled at various Garagiste Festivals in the past, here is a list of participants to consider stopping by their booth. Please remember many of the wineries at this year’s Urban Exposure event are new to the Garagiste Festival. Like you, I hope to taste of the wines from these new winemakers this year. Alma Sol specializes in creating Bordeaux blends from Paso Robles. Alma Sol means souls and sun and as owner John says,”Both are essential to life in general but also feeding the passion for what we do as winemakers. Those two elements – in multiple meanings – drive how we care for and select our vines, grapes and winemaking process.” I especially enjoyed the Cabernet Sauvignon over the years. You can never go wrong with the wines of Ascension Cellars. For Erick Allen, the process of winemaking is about the blend. Starting Ascension Cellars in 2008 was about accentuating his blending forte of both the Rhone and Bordeaux varietals. 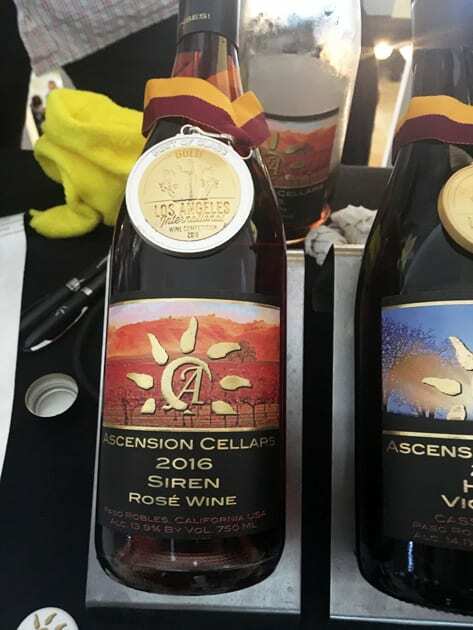 Make sure you sample Ascension’s Siren Rosé because it is one of my favorites. 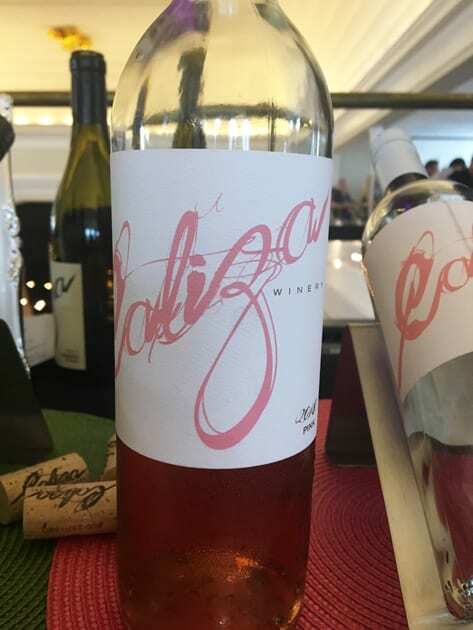 I discovered Caliza at an event in Santa Margarita several years ago. Like many people, the impact of 911 made the Bowker’s question what they wanted out of life. After a trip to Europe around that time, Caliza’s owner decided to change course and open a winery rather than staying in the hospitality industry. Caliza means limestone in Spanish and describes the type of soil in the Bowker’s vineyards. Specializing in Rhone varietals, Caliza wines have always been a favorite. Last year Golden Triangle featured a Tannet that I found exceptional. Tannet typically is used as a blending wine but becomes more challenging to produce as a single varietal. 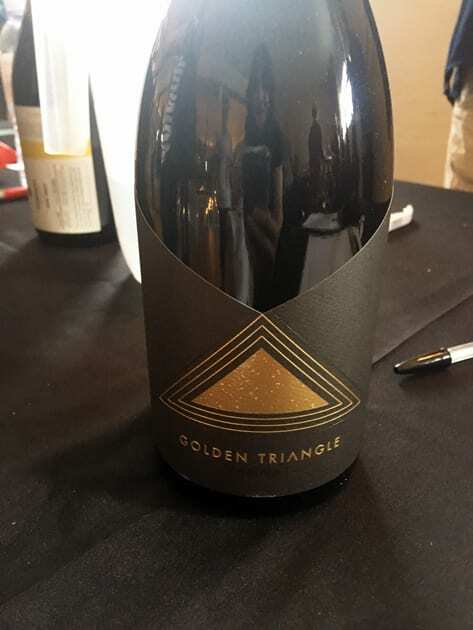 Golden Triangle represents one of the few wineries who create an excellent stand-alone wine from this variety. Marin’s Vineyards is located at the southern tip of Monterey County, also know as the San Antonio AVA. The climate in Lockwood Valley is warmer than other Monterey AVAs. Marin’s features mostly Bordeaux and Rhone varietals. If you have a hankering for unique whites, Monochrome Wines excels at creating extraordinary white wines. Two of my favorites, Barrel Distortion, an Albarino blend and Analog in a Digital Age, a combination of Marsanne and Chardonnay. The latter is befitting because the Marsanne ferments and ages in Amphora, thus representing the analog aspect of the wine. Since Amphorae come from ancient time, it signifies the analog world. Pinotphiles must visit Sweetzer Cellars. Starting in a small apartment in West Hollywood with white carpets, they have come a long way and produce some of my favorite Pinot Noirs from the both Santa Maria and Sta. Rita Hills. TLO is a winery based in San Luis Obispo, and Andy Zaninovich is the winemaker/owner. Andy’s Croatian heritage in winemaking plays a role in his winemaking because he pays tribute by using a Croatian name for his winery, TLO. TLO stands for the terroir where the grapes grow. Andy purchases his fruit from many areas along the Central Coast. Finally, some of the other wineries I have sampled over the years are Cutruzzola, El Luger, and Montagne Russe. Many of the wineries listed to participate are new to the wine scene, so I am anxious to discover some of these newbies. 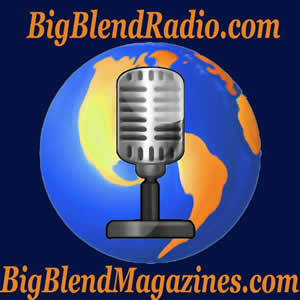 Ann Albert, Bellante, Betwixt, Brophy Clark, Blatty, Cavaletti, Cloak & Dagger, Domäne Kreger, Dusty Nabor, Frisco Cellars, Gordenker, The Hoi Polloi Winery, In Vino Musicas, Kaleidos, Kitson Wines, L.A. Wine Project, Lavender Oak, Leverage Wines, Luna Hart, MagnaVita Cellars, Malibu Ridge Vineyard, Mastro Scheidt Family Cellars, Metrick, Murder Ridge Winery, On Your Left Wine Company, Parmeson Wines, Pulchella Winery, Record Family Wines, Siela Wine, Stolo Vineyards, Sycamore Ranch, The Blending Lab, Torch Cellars, TW Ferm Co., Volutus, Vinemark Cellars and Wildwood Oak Winery. Tickets are still available for the Garagiste Festival. Hope to see you this Saturday to discover some of the new wineries on the block.